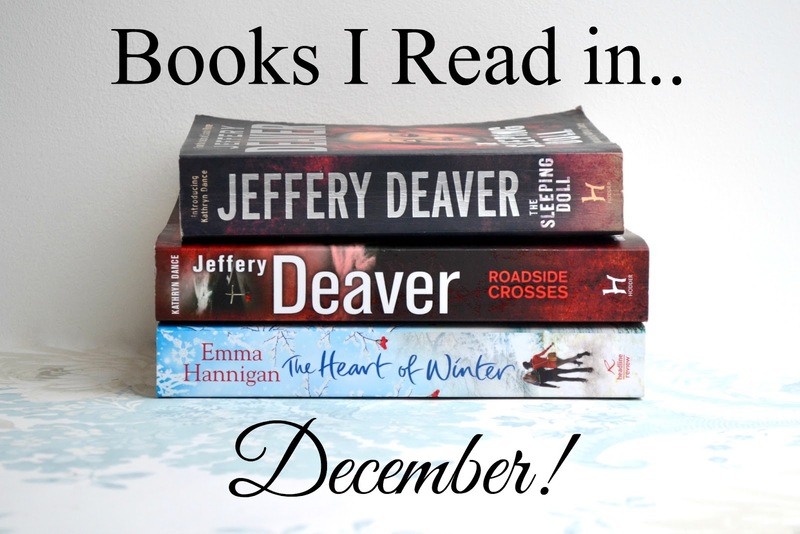 December is notoriously a bad reading month for me. There is just so much to do with Christmas and New Years and my family being over, and this December I was away for a week in Germany! So my reading was a little iffy. I still managed to read three books though and they were not short ones either! I started this while I was away in Cologne and flew through it. I couldn't stop myself reading once I started and ended up finishing it binge-reading chunks of 100-150 pages. Jeffery Deaver is probably most well known for his Lincoln Rhyme character, a forensic expert, but I love Kathryn Dance. She's everything I want in a detective; a strong female with an expertise- kinetics, a good mother, and a very human character. In this book she's on the trail of Daniel Pell, a cult leader and a murderer on the run but there are so many different threads being woven into it that I picked up in the second book. This is the book that I would give to people to explain why I love Jeffery Deaver as a writer. I was lucky enough to go to a talk by Jeffrey Deaver about the fourth Kathryn Dance book that you can read about here! Yeah, I went straight into the second Kathryn Dance book after finishing The Sleeping Doll. And I read all the way up until 8 minutes to midnight on New Years Eve to finish my 80th book of the year. I kind of feel like 8 is going to be my lucky number this year. Either way, this was a pretty great book. The thing that kind of detracted from it is when anybody writes about the internet, it gets outdated fast. This book from 2009 felt so much older because of it. Although, as a blogger, it was really interesting to learn about this history and the whole evolution of blogging pre-the #bbloggers/#lbloggers/#bookbloggers phenomenon. This took me a really long time to read. It started off really well but ended up feeling like a soap opera with so much drama going on without much realism to go with it. I couldn't get past how unreal the characters felt to me, and by the time I was half-way through I had to really push myself to finish it. It didn't have the christmas feeling I was hoping for either. What did you read this December? *This was sent to me for review. It hasn't changed my opinion and I am not obligated to talk about it.